Android mobile users stay alert; your phone may be hacked through photos! FEB 11 (WTN) - If you click on a photo received from an unknown number on your smart phone, then be careful, because hackers can hack users' data thorough photos. As you know, hackers adopt a variety of procedures to hack data from mobile phone users. Hackers have now begun to hack data through photos in the same link. 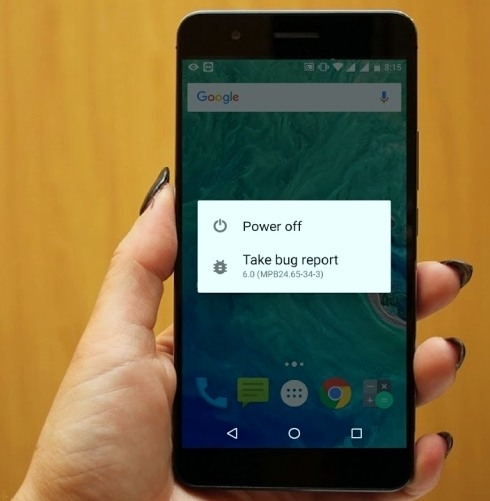 For your information, let you know that Google has found a new kind of bug, it is being said that hackers can hack the data of android mobile phone users with the help of this bug. So we recommend you to think before clicking on any of photos of your smart phone received from social media which is in .png image format because clicking on this type of photo can steal the data of your smart phone. Well, for your information, let you know that although all PNG photos are not unsafe, but be careful though, because Hackers can hack your phone with the help of many tricks. According to the information, due to the PNG image, there is a problem of bug in Android 7.0 to 9.0 versions. Google has given complete information about this bug in its Security Patch in February. For your information, let you know that when this bug comes to your phone, hackers, who steal your data, can get access to the host device on which the link is opened with the help of many types of code. Hackers can also track your mobile phone location through these photos. Hackers will send a message from WhatsApp or SMS to hack your mobile phone and this message can come from an unknown number. Hackers will ask you to click on any link sent on your mobile phone. This bug will come with a photo or content. As soon as you click on the link sent by the hacker, that person will be able to hack your data. Therefore, we advise you to be careful if any links come from any unknown number, because by opening that link, your mobile may be hacked.